The true meaning of omni-channel is still considered a mystery by many. In today’s guest blog, two experts share their knowledge of omni-channel and explain how it’s helping the high street to adapt to the digital age. 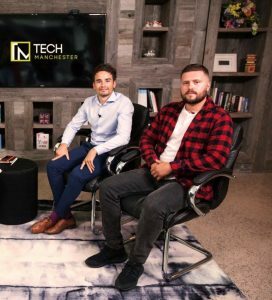 Michael Lawes and Jordan Madeley are co-founders of BizzleIt Solutions, a business from Manchester, which specialises in transforming businesses through the power of omni-channel. Why is omni-channel transforming commerce? Jordan: “From a customer perspective, omni-channel makes perfect sense. It means commerce works more efficiently and everything is more relevant and personalised. The customer benefits from the moral use of their data. Michael: “In the traditional shop, you have no idea who’s using your store, what they typically buy, what they typically spend or why they visit a specific store. Whereas with your eCommerce site, users are constantly generating useful data. “As a result, online customers can provide ten times more value to a business than offline ones. Because it’s not just about the products they buy, but the data they provide. This data is used to build a better customer experience or sold to third parties (as long as it complies with the GDPR). What does the future hold for the high street? Jordan: “First of all, the high street isn’t dead and it’s not really dying. Traditional brick and mortar retailers who haven’t embraced technology is what let the eCommerce world grow in the first place. This has made the high street appear weak in comparison. “It’s a sudden change, but not the end. Certain chains will disappear and make room for new ones that are ready for the new type of high street that is emerging. It’ll be a new wave of shopping experiences and only the relevant shops will survive. “In my opinion, shopping has two futures. Either we all stay at home and shop purely online, which is lonely, depressing and completely removes the social element of shopping, or everyone still walks down the high street. You’ve got your app connected to all the shops and billboards of the area you’re in. The app and shops are all working in tandem to give demographically relevant advertising. Everything is personalised, powerful, engaging, customised, and available whenever, wherever. And that’s the choice we’re hoping retailers make, because that’s exciting. Michael: “High street shops need to change their strategy to take advantage of the new revenue stream that omni-channel brings. They have to invest in this new revenue stream first instead of just cutting things out of their stores and making the experience worse. For expert advice on how your business can take full advantage of omni-channel in 2019, watch our omni-channel webinar on demand now.